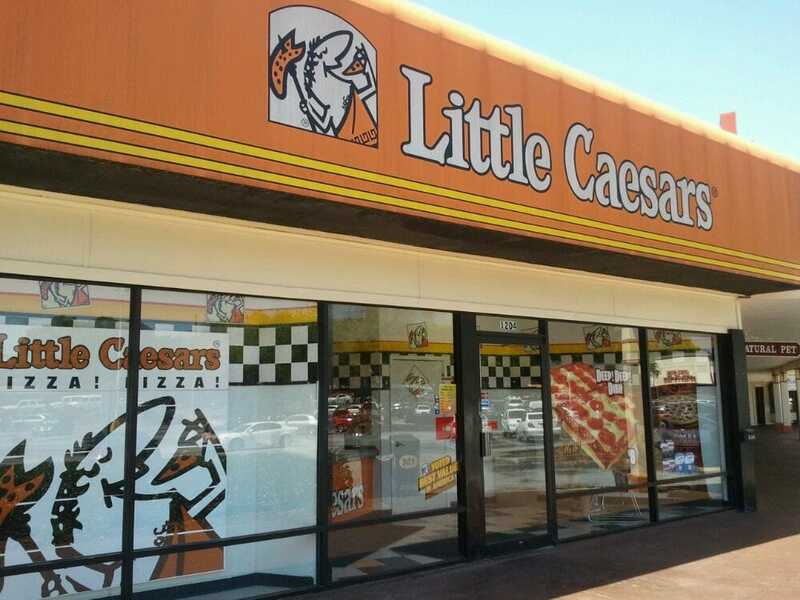 Depending on where you live in North America and what decade you also live in, you may or may not know of Little Caesars, a chain of pizza restaurants that as of the writing of this article is actually the third largest in the United States. An international juggernaut with locations in North America, Asia, the Middle East, Australia and Latin America/the Caribbean, the $5 pizza juggernaut was founded in Detroit Michigan in the late 1950’s by the owner of the man who would eventually own the Detroit Red Wings and Detroit Tigers. 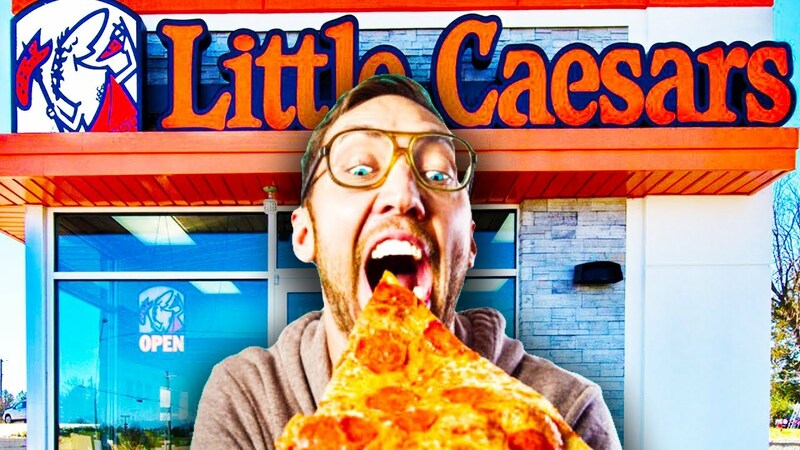 While we will delve into those topics on this list there are a ton of things that you might not know about the little pizza place that could so without further ado let’s take a crack at the top 10 things you might now know about Little Caesars. 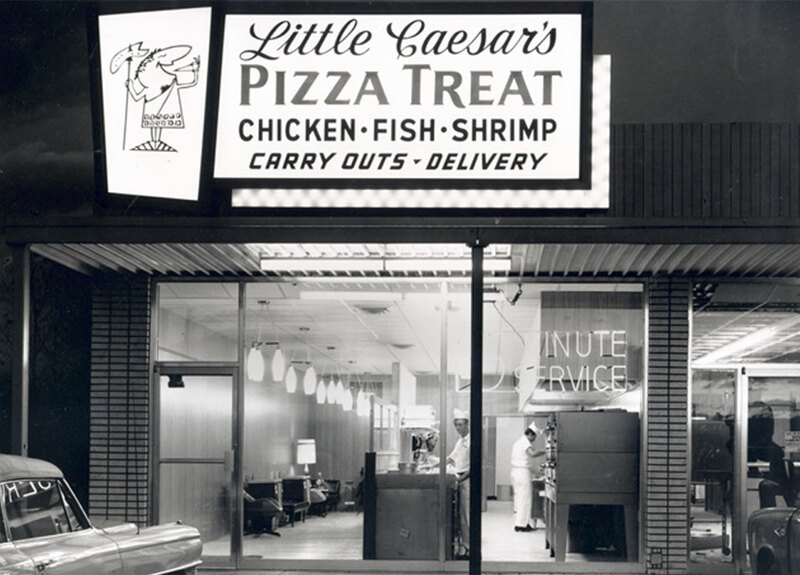 As this article begins, depending on where you live in the United States or Canada you may have either never had Little Caesars or recall Little Caesars from the late 80’s and early 90’s, only for it to seemingly disappear once the franchisees disappeared. Despite that, though, Little Caesars is actually the third largest pizza chain in the United States based on gross sales, meaning that it sells more than every other pizza chain outside of Pizza Hut and Domino’s pizza (it’s net sales, or profit, is another story but considering that they’re famous for their $5 pizzas it’s actually pretty amazing to hear that they outsell places like Papa John’s, which is a lot more expensive than Little Caesars). That means that they’re doing a ton more transactions than it’s competition. So, what is the top 10? From top to bottom the top pizza chains in the United States (again based on gross sales are…) Pizza Hut, Domino’s, Little Caesars, Papa John’s, Papa Murphy’s, California Pizza Kitchen, Marco’s Pizza, Round Table Pizza, Mellow Mushroom and Cici’s Pizza. 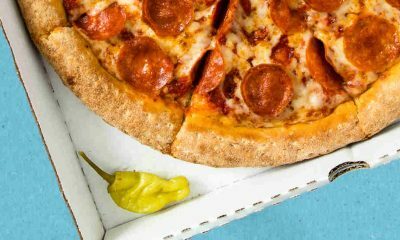 Considering that many of those aren’t located in all 50 states and that some don’t even sell hot pizza (like Papa Murphy’s), it’s not looking like Little Caesar’s reign as a top three pizza chain is at risk anytime soon! 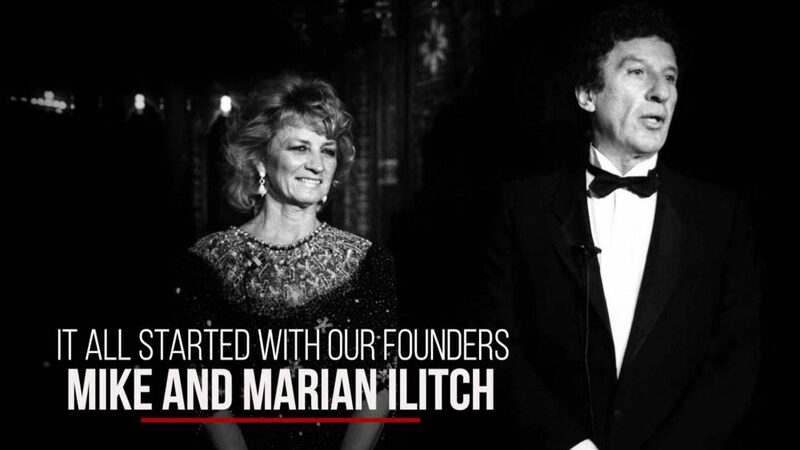 As this list dictates, the first Little Caesars was opened by the husband and wife duo of Mike and Marian Illitch in May of 1959 in Garden City, Michigan which is a suburb of Detroit. The building the original restaurant was located in is still there and the original Little Caesars is actually still in operation which is rare for any fast food restaurant as the needs and technology have changed over the decades which means that most original places like hamburger stands for McDonald’s or White Castle simply can’t handle the reality of cooking food in 2018. That original restaurant is located inside a strip mall which makes it even more surprising as strip malls seem to be more of a late 70’s to early-to-mid 80’s thing than a late 1950’s thing. The first restaurant opened on May 8th and while the name has changed a bit (from Little Caesar’s Pizza Treat to simply Little Caesar’s) as has the original menu (which included chicken, fish, shrimp and hot dogs which is why you’d have to assume the restaurant has survived as it’s actually downsized in terms of offerings as opposed to the opposite when it comes to it’s hamburger competition like White Castle, which went from only serving sliders by the bag full to include all sorts of different options like chicken rings, malts and coffees. At that original location stands a plaque that discusses how important that original location was to the Ilitch family, the Detroit metropolitan area and pizza lovers everywhere but outside of that and unlike other first locations, again like White Castle, it’s mostly business as usual which as of the day after the death of it’s founder had been running for over 21,000 days. Pizza, Pizza indeed. Ilitch moved on after the Detroit Caesar’s ceased operation to one of the major four sports in hockey, purchasing a Red Wings team that is now valued as one of the most expensive franchises in the sport. 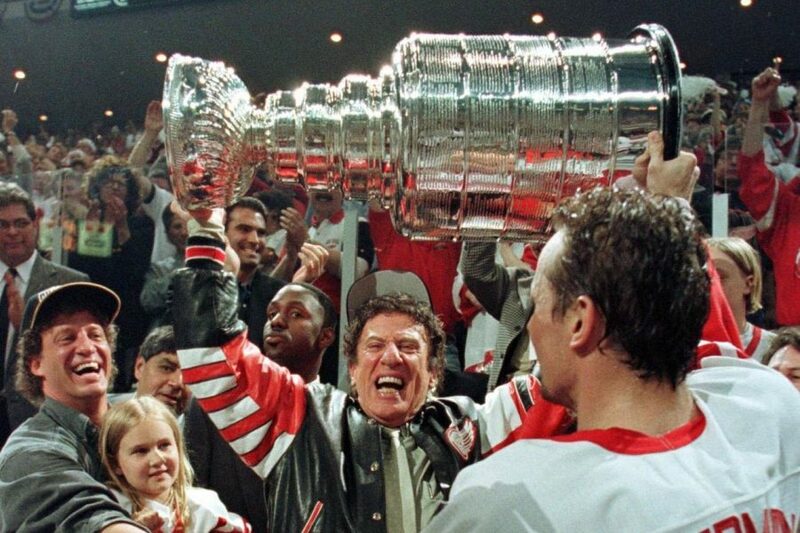 As a member of the original six teams alongside other teams like the Toronto Maple Leafs, Boston Bruins and Montreal Canadians, the Red Wings were a complete steal for Ilitch who purchased the team for $8 million dollars from Bruce Norris before the 1982 season. Considering that the most recent valuation of the team is north of $600 million dollars, it’s safe to say that it was a sound investment. That’s not solely because of inflation, either, as Ilitch was able to take the team that was known as the “Dead Wings” to one that was a perenial contender on the level of the New York Yankees. Ilitch soon found that owning one team wasn’t enough and ended up purchasing the Detroit Tigers in 1992 from another pizza magnate in Tom Monaghan, who founded Domino’s Pizza. This transition was a lot less smooth as they had a losing record for twelve of his first thirteen seasons as an owner but they did end up winning a World Series. He also helped build a new park in Comerica Park, which livened up downtown Detroit. He also expressed interest in purchasing the Detroit Pistons in 2010 in the hopes that that’d keep the Pistons in Detroit and stop them from moving to another location (like Seattle). He also expressed interest in purchasing the Detroit Lions over the years but the NFL has strict and confusing rules about their owners also owning other teams in different sports so that never went beyond the vague interest phase. Perhaps outside of Domino’s, with it’s hyper obvious and simple logo, there is not a more recognizable pizza chain logo than that of the Little Caesar’s logo with a small example of a Roman Emperor taking a bite of pizza while he holds up the rest of the pie on the end of a spear. 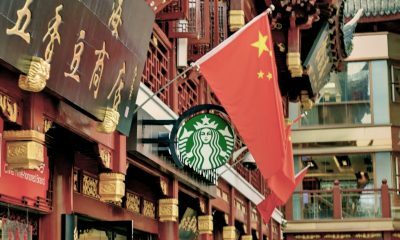 Some companies spend tens of millions if not billions on new logos as it costs a fortune to hire marketing companies that can bounce new logo ideas off of their focus groups, beyond the money that is put into creating those logos in the first place. Beyond that then comes the re-brand which means pulling all old product off the shelves or in the case of a restaurant basically creating new signage for each location, for every delivery car/truck and also changing out all of the napkins and pizza boxes. The most egregious example of this stemmed from the new Pepsi logo this century which reportedly cost the soda giant upwards of a billion dollars (if you believe the sensational articles from around that time) when all was said and done, all that money for something that basically was just a rip off of Barack Obama’s campaign logo. 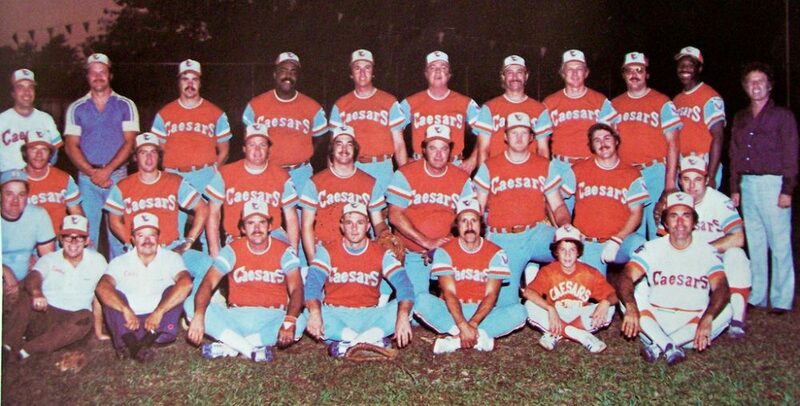 So, it’s actually pretty refreshing to hear that Little Caesar’s logo was actually first drawn on the back of a cocktail napkin, by Don SIlverstein who was a friend of the Ilitch’s. He came up with the logo not long after the first restaurant opened in May of 1959 and while it’s become one of the most iconic in the entire restaurant industry it couldn’t have cost the Ilitch couple more than whatever the cost of the bar tab was that night (and hopefully every night for the rest of Silverstein’s life). Considering how creepy fast food logos were at the time (we’re looking at you, Burger King), it’s actually surprising that the Little Caesar’s logo turned out so well as it very well could’ve been a lot darker as well, considering the history of Roman emperor’s like Nero playing the fiddle while Rome burned or Caligula, who… We’ll just let you Google when you have free time and are hopefully not at work (unless you want to end up working at Little Caesar’s for the rest of your life!). 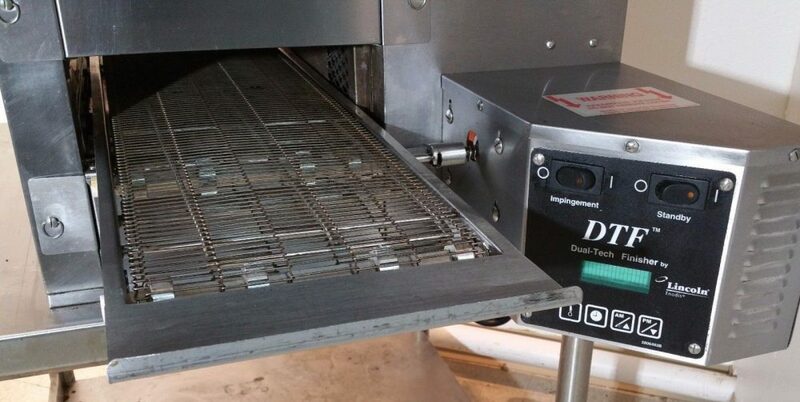 Little Caesar’s has always been considered on the forefront of Pizza cooking technological advancements and that progressive mindset is something that has clearly worked well for them over the years and doesn’t stop solely at pizza. For example, it’s international headquarters was recently opened and featured a lot of first-of-a-kind technology. The facade on the nine-story building was the first of it’s kind for any building as the gigantic pieces of glass that form the facade are shaped like slices of pizza, and that’s clearly not an accident. Each of the 14-foot tall pieces of glass is a technological marvel and beyond the fact that it points to the signature product of Little Caesar’s it also points to the fact that Little Caesar’s has been an innovator in the pizza chain arena for just as long as it’s been in business (which will be sixty-years next May). 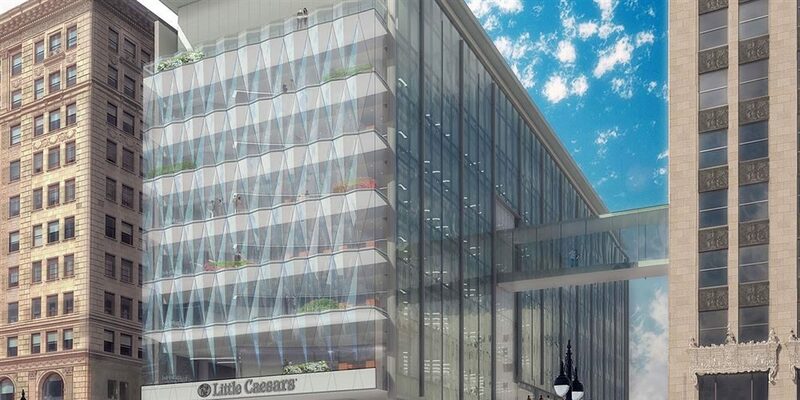 The idea is also that the facade will provide a ton of natural light, more collaboration space and amazing views of downtown Detroit which thanks to people like the Ilitch family is finally on the rebound after decades of white flight and a lackluster economy (putting it lightly). 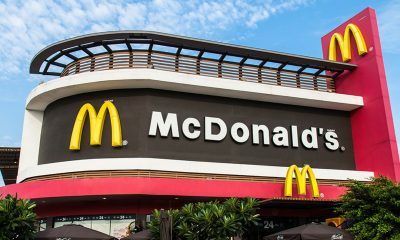 The new facility will also have three times the amount of space for research and development which while that sounds sort of funny for a pizza place, it’s actually a large part of what all fast-food places do (as well as having state-of-the-art test kitchens, sensory panels and quality assurance operations at their headquarters). 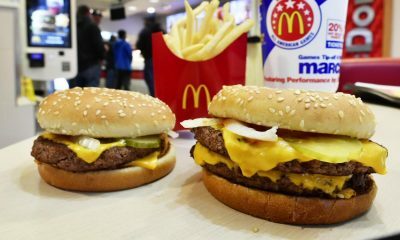 A year or two ago there was a push by fast-food workers across the United States for a new minimum wage increase to that of $15 dollars an hour. 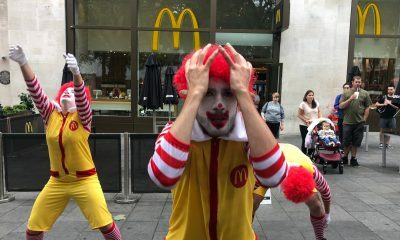 For the first time in history as opposed to stating that the increase would simply amount to layoffs, the corporations behind those jobs like McDonald’s instead warned that the increase to that amount (which while it wasn’t double, was a lot) would mean that they’d move from human employees to automated ordering stations that’d cut down on the amount of actual human people that they’d have in their stores. 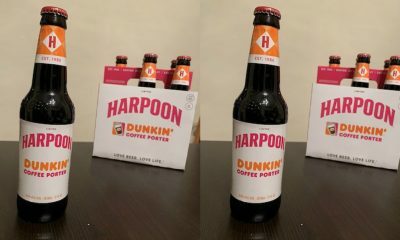 While that sounded like the crazy drunken logic of a crazy drunk, the reality isn’t that far off and the proof of it actually stems from the patent that Little Caesar’s, known in the industry as an innovator, received in March of this year. 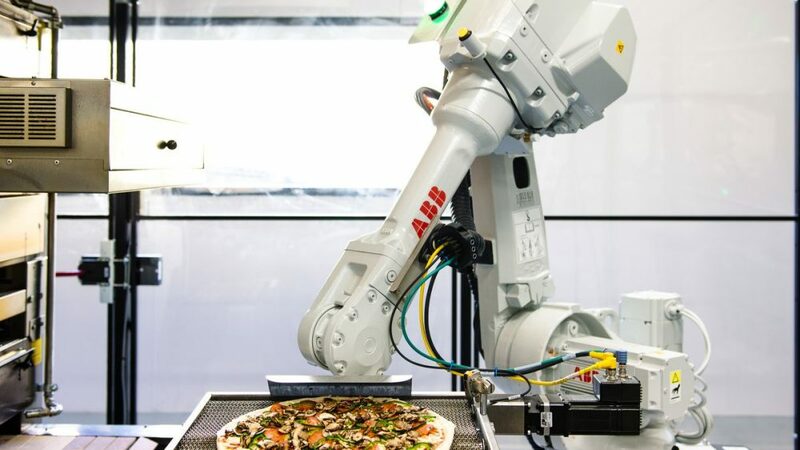 That Patent, was for an “automated apparatus provided for assembling pizza, which includes a pizza sauce spreading station, a cheese spreading station and a pepperoni applying station” for a robot that will have an “articulating arm with a gripper attach to grab onto pizzas, as well as a rotary dial system to ensure proper cheese and pepperoni distribution”. Little Caesar’s is actually framing the robot as something that’ll make the job of humans in the restaurant better as it’d partially automate the “labor-intensive endeavor” of pizza making, which frees workers up to perform “other value added tasks” while improving on efficiency and ensuring a more consistent product for the customers of Little Caesar’s. It’s actually been said by those in the know that the future of labor will increasingly have to deal with automation and that it’s something that the current workforce is basically going to be blind-sided by, as there will eventually be a ton of workers for every open, human position as manufacturing of anything, whether it be food or high end computer chips (or even the automated robots themselves) will fall to robots. It definitely sounds a lot like the plot to the first Terminator, where Arnold’s T-800 Terminator Robot travels back in time to murder Sarah Connor after her son, John Connor, failed to tip him in the future for the pizza he delivered to his apartment. I’ll Be Back, In 30 Minutes or Less. 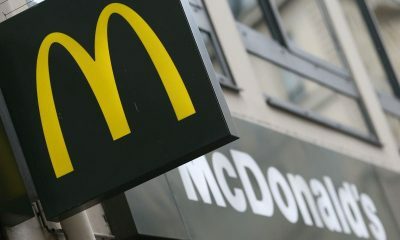 There may be no more iconic catchphrase for a fast-food chain than “Pizza! 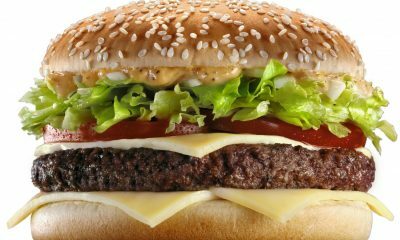 Pizza!”, mainly because it’s stood the test of time and isn’t something that changes every few years like McDonald’s with it’s “Have you had your break today?”, “I’m Lovin’ It”, “Look for the Golden Arches!”, “Two all-beef patties, special sauce, lettuc, cheese, pickles, onions on a sesame seed bun”, “The closest thing to home”, “We do it all for you” and “My McDonald’s”. It turns out that “Pizza! Pizza!” actually started as a promotion that wasn’t meant to last decades, and while the promotion itself did end the saying was so popular that the restaurant decided to continue using it as it’s general catchphrase (mainly because the promotion was super successful and people began identifying their local Little Caesar’s starting with the promotion that began in 1979). That promotion was basically that you could come in with a coupon or proof of the cost of a pizza at any number of Little Caesar’s competition like Pizza Hut or Domino’s and that Little Caesar’s would offer you not only one pizza for the same price (which would’ve been a deal in and of itself as a lot of restaurants and stores honor the prices of it’s competition that way) but that they’d actually offer you TWO pizzas for the price of one pizza elsewhere. 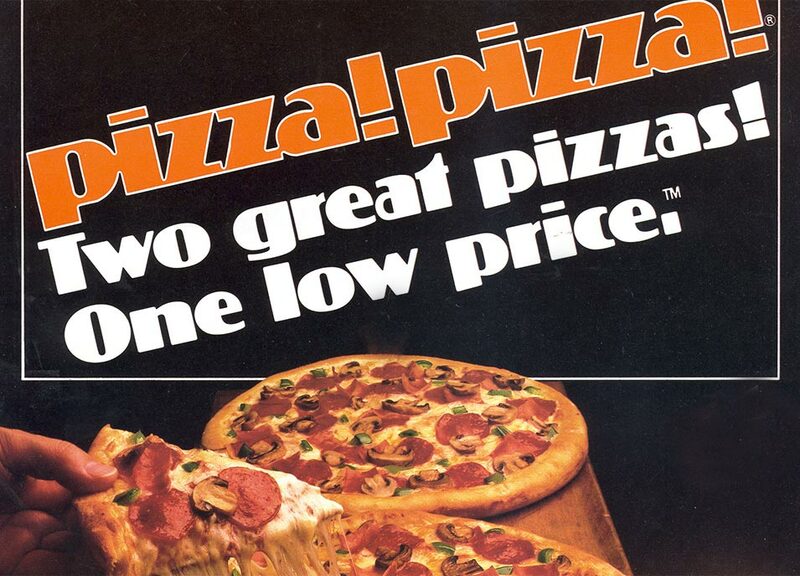 Meaning that if Pizza Hut was offering a large, two-topping pizza for $10.99 you could go to Little Caesar’s with an advertisement for that “special” and actually walk out with two two-topping pizza’s (that’d most likely have been cooked by a robot on a conveyor belt). With that context it actually makes a lot of sense why their slogan is “Pizza, Pizza” as you’re receiving two pizzas, while before hearing this most of us thought that their mascot just had a speech impediment. While that very well still may be the case, knowing that actually does more harm than good these days as it reminds you of a better time, a time when you could walk out of Little Caesar’s with two pizzas for the same price as one pizza at Papa John’s… Wait a minute. Considering the fact that you can still get a large pizza for $5 at Little Caesar’s, it’s safe to assume you still can. Which makes sense considering that you’re paying for robots to construct pizzas and most likely for the salary of whichever Russian defenseman the Red Wings drafted this year.